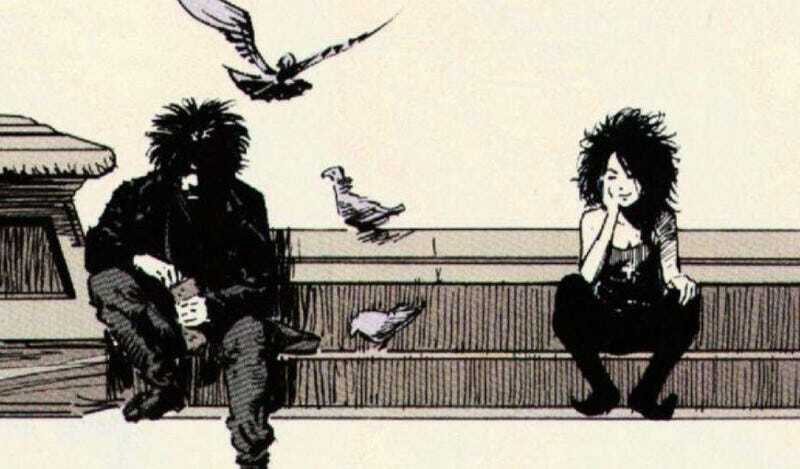 The dream of seeing Neil Gaiman’s Sandman on the big screen remains just that—a dream, and one that’s having a load of trouble getting realized. Eric Heisserer, the latest screenwriter hired to adapt the celebrated comic book series, has departed the project. New Line had no comment when io9 reached out to a representative for the studio. New Line’s project is the most recent in a long line of attempts to translate to the screen Gaiman’s magnum opus about Morpheus, a.k.a. Dream, and his siblings, a group of powerful beings called The Endless. Supernatural creator Eric Kripke was attached to a Warner Bros. Television adaptation in 2010, and there were attempts to adapt the comic to film in the 1990s. Heisserer had taken the reins on the Sandman movie script after British screenwriter Jack Thorne had been attached to adapt the Gaiman title in 2014. Meanwhile, at least the TV adaptation of Gaiman’s American Gods is moving full speed ahead, for its premiere on Starz next year. Perhaps Sandman can follow in its footsteps? L.A.-based journalist Emily Rome has written for Entertainment Weekly, HitFix, The Hollywood Reporter, MentalFloss.com, and the Los Angeles Times.